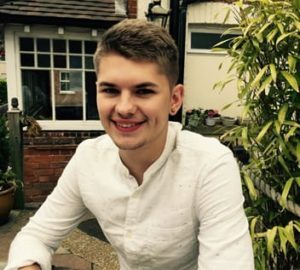 After being diagnosed with MEN Type 1 as a teenager, it suddenly became very clear that having support from peers & professionals alike was extremely important in handling the diagnoses. Being (un)lucky in having a sibling with MEN 1 as well, offered immediate solidarity. Although due to age, I was bounced around different hospitals and consultants – too old to be sent to Great Ormond Street, too young to be offered full adult services. Throughout those years, I experienced first-hand how you can become disillusioned with your own health. Having a rare disease that nobody has heard of creates a feeling of isolation and often causes people to disengage with their own care: me included. Luckily, after being transferred to St Bart’s Hospital, having an excellent consultant and finding AMEND, I took back responsibility for my health with help from both. This created a drive for wanting to help young adults with neuro-endocrine tumours, who may feel like they have no bearing on the care that’s offered to them. After becoming an AMEND Trustee, there have been numerous opportunities to help shape youth orientated programmes that engage young adults in taking hold of their illnesses. As the charity grows, I hope to be involved in plenty more projects & meet as many fellow MEN patients as possible.